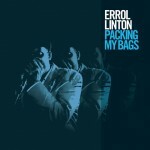 Share the post "Album review: ERROL LINTON – Packing My Bags"
‘Packing My Bags’ is that rare thing, a blues related album that pushes the stylistic envelope while still making an essential emotional connection. Errol Linton has long carved out his own niche in the roots and blues field, but this is his best produced and most disciplined album. He is as happy playing blues as he is reggae, singing ballads or leaning into deep shuffles. His warm vocal and expressive harp gives him the rudimentary tools with which to explore his unique blues vibe, but he also has a wonderful band who lock into the grooves with some exhilarating interplay. They are at their best on the deep blues of ‘Through My Veins’, which closes the album with a wonderful exercise in restraint. The key to the album’s success is the band’s use of space and time. They strike a perfect balance between beautiful tone colour and intricate dynamics, before shining their collective light on a unique take on the blues. Errol Linton has made his name as an esteemed harp playing a unique version of reggae and blues. But on the evidence of this album that’s a lazy description as his music digs far deeper. He’s best described as a cross genre bluesman player who brings variety to his vocals to his vocals as he slips from warm close-to-the-mic excursions into falsetto when required. This is such a wide ranging album that when the band turn to the Chicago blues of ‘Hoodoo Man’ it feels like a ship coming into harbour after being tossed around on undulating waves. And having explored some exciting highs the band comes back to Chicago blues – their spiritual musical home – to re-ignite a favourite Junior Wells track. Errol makes an immediate impact with his superb harp playing on the opening cover of Snooky Pryor’s ‘Break ‘Em On Down’. He’s a feel player with a warm vocal and a tight band that gives him the platform to blow at his hearts content. The album contains 6 self penned tracks (including 2 co-writes) and 3 covers, of which ‘Break ‘Em Down’ is the best. You’d be hard pushed to spot the join as they shape the material to their own end with a signature sound. Linton is a British harp player with all the feel and poise of his American counterparts. He’s a mature player with a lived in feel and a band that supports him all the way. ‘Got Me Running’ could be a slice of British 60′s R&B on a jump arrangement with a repeated harp riff and a vocal not too far removed from Canned Heat’s ‘Blind Owl Wilson’. He further emphasizes the Latino beat of Billy Boy Arnold’s ‘I Wish You Would’. It may be a bit of an obvious cover, but the band transform it with their vim and vigour. Linton adds a warm vocal and expressive harp phasing, while Kenrick Rowe’s ebullient cymbal work rings out loud and clear on a song with plenty of stop-time moments and lots of space. ‘Packing My Bag’ is an album on which the harp takes precedence, and when guitarist Adam Blake solos on ‘I Wish You Would’, he’s short, sharp and to the point, as he revels in his role as an accompanist who supports the song. Linton extends the R&B feel on the stop-time ‘Love Is Strong’ on which he indulges in some vocal and harp, call and response. He adds a solo with deep breaths leading to long drawn out notes and then the opposite, before the band coalesces superbly on a jumping double bass line. The title track is the jewel in the crown. It’s a celebratory shuffle with a noticeably different vocal attack and a repeated reggae inflection that works perfectly and brings contrast as the number returns to its shuffle based anchor. The band’s intricate interplay featuring pianist/co-producer Pete Zivkovic’s subtly voiced notes all perfectly illuminate the track, as Linton borrows Bob Marley’s ‘Concrete Jungle’ line. Each track builds on its predecessor to give the set an essential flow as it rolls mellifluously towards an emotive finish. Linton extends the reggae feel on ‘Drink Up Your Last Dollar’ which is a rock steady drinking song that is pleasant rather than essential, though it’s simplicity does envelope us before a somewhat perfunctory ending. ’3.44 In The Morning’ is another album highlight built on a funky backbeat, harp squals, crisp cymbal work and Errol’s faux falsetto. It has an insistent funky rhythm underpinned by Lance Rose’s throbbing bass on a beautifully nuanced track. He vocal line also cleverly mimics the bass line that is keeping him awake at night. The track straddles blues, reggae and funk to cleverly evoke the restless sleepy night of the lyrics and is a great example of contemporary urban blues without any hint of cliché. The tension breaking wah-wah sounding harp riff feels like a musical sculpture as the band teases out the deepest groove. The beautifully crafted ‘Through My Veins’ provides a suitable counterbalance to the above and perfectly bookends an album that drips with feel and emotion. This entry was posted in ALBUM REVIEWS, ALBUM REVIEWS (Mobile), All Posts and tagged Adam Blake, album, Billy Boy Arnold, Blind Owl Wilson, blues, Bob Marley, Canned Heat, Errol Linton, funk, harp, Junior Wells, Kenrick Rowe, Lance Rose, Nick Drake, Packing My Bags, Pete Zivkovic, reggae, review, Snooky Pryor. Bookmark the permalink.